Questica has achieved the top level of Microsoft Business Partners. We have demonstrated the knowledge, skills and commitment to develop technology solutions that match your exact business needs. To gain accreditation and the right to use the official logo, all Gold Certified Partners must have passed the Microsoft Gold standards. At Abila, part of Community Brands, we focus our industry insights and technical know-how to help mission-driven associations, nonprofits, and government entities solve their modern challenges. As a product partner, Questica’s budget solution integrates with the Abila MIP system. The Alliance For Innovation, which began as the Florida Innovation Group in 1979, inspires innovation in local government and connects a network of leaders across North America. The Alliance for Innovation identifies major trends in local government, researches innovative practices, and is a repository of information on the process of innovation. Balancing Act was created by Engaged Public, a Colorado-based public policy consulting firm founded in 1998 and specializing in engagement-driven strategies and public policy leadership development. Engaged Public’s mission is to bridge people and policy through meaningful, productive dialogue and other innovative tools. We created our first online budget simulation in 2007 for the State of Colorado. Since then we have added scores of local and state governments to our list of partners and continued to evolve the software adding Taxpayer Receipt, Meeting Mode, and a number of other features that make Balancing Act the best budget simulation available. Balancing Act is on the 2017, 2018 and 2019 GovTech 100 lists. Bonfire is the leading next-generation competitive bidding and RFx platform. Sourcing professionals deserve better software. Not outdated bidding portals, underwhelming eProcurement suites, or the after-thought features of legacy ERP systems. Bonfire believes that sourcing deserves a modern toolkit that delivers deeper workflow automation, richer data, and easier collaboration, leveraging the latest technology through machine learning/AI and predictive analytics. Bonfire is part of the GTY Technology group of companies. Blackbaud is the world’s leading cloud software company powering social good. Blackbaud Technology Partners provide applications and solutions that complement Blackbaud solutions. Questica’s budget solution intergrates with Financial Edge. 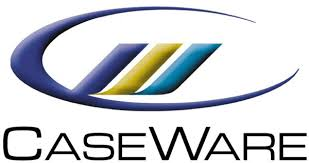 CaseWare International Inc. is a leading global software provider provider of tools for finance officers in local government and education organizations around the world. CaseWare solutions are trusted by over 400,000 users in 130 countries and in 16 languages. CaseWare solutions continue to push the technological boundaries in the industry by combining the power of automation with secure collaborative tools to help their customers reach new levels of productivity – and make better business decisions. Central Square Technologies is dedicated to innovating exclusively for the public sector by bringing the power of cloud computing, AI and data science to build smarter and safer communities.Our technology platform provides solutions for public safety, including 911, dispatch, records, mobile and jail. For public administration agencies, we provide software for finance (Diamond ERP, iCity ERP), HR/payroll, utilities, citizen engagement, community development, property tax, municipal services and asset management. Since 2000, eCivis has been most trusted and widely used SaaS grant management system by state, local and tribal governments. eCivis helps thousands of government agencies maximize their grant revenues, track their financial and program performance, prepare cost allocation plans and budgets, and access free open data tools to make sense of Federal data. eCivis is a GovTech 100 company and is part of the GTY Technology group of companies. For nearly two decades F. H. Black & Company Incorporated has been implementing, integrating, and optimizing industry leading tools and best practices to improve the finance function for the public sector in North America. They’ve tackled reporting projects in nearly every major reporting framework including GASB, PSAB, IFRS, GAAP & ASPE. With a deep understanding and experience CaseWare products, implementation and training, F. H. Black & Company Incorporated is the sole authorized provider of implementation and training services for numerous government/education solutions in Canada and is the author of Questica Budget Book powered by CaseWare. At Harris ERP, we build software solutions specific to the requirements of public sector organizations. We take leading-edge technologies and use them to create cost effective solutions to support the needs of our customers. We provide software that helps manage mission critical business processes such as Utility Billing, Payroll, and Financial Management. Since 1977, Mitchell Humphrey has been providing software solutions and services to clients in both the Public and Private sectors featuring faster implementations, better access to information, and smarter decision making. Hundreds of organizations across North America benefit from our flexible software applications and best practices services. Sparkrock is a Canadian-based information technology consulting and services company applying practical innovation through services and solutions that deliver tangible results for non-profit, education and government clients. Services include application development, ERP and CRM implementations utilizing Microsoft Dynamics® NAV, Microsoft Dynamics® CRM and Microsoft SharePoint for employee portals.